Nearly a century after its construction, Moscow’s southern Shabolovka neighborhood remains one of the gems of Russian 1920s avant garde architecture. 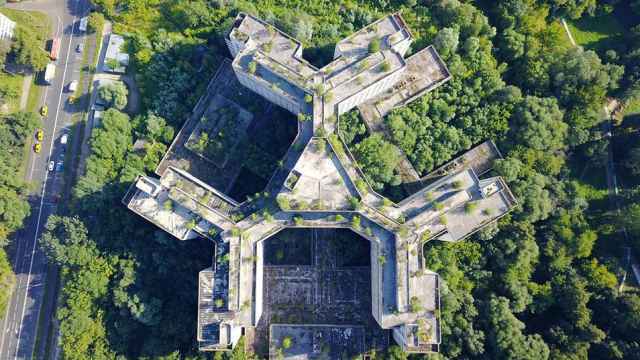 Designed as a model “socialist utopia” on what was then the remote outskirts of Moscow, Shabolovka features innovative residential buildings, baths, schools, and hospitals—all built to represent the Soviet vision of the future. 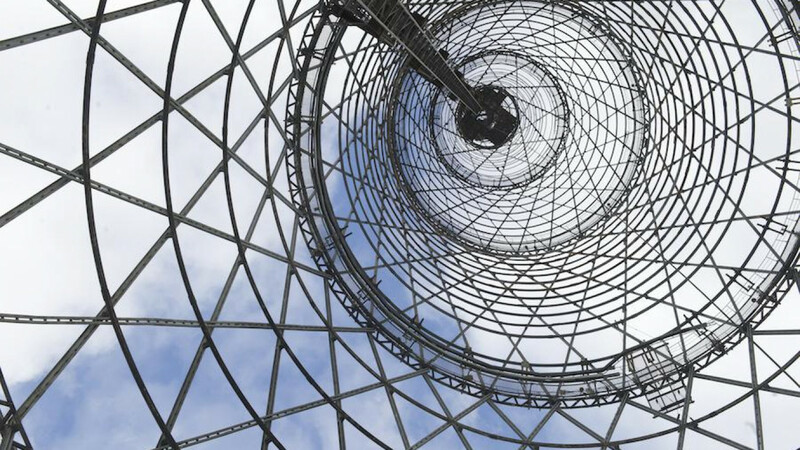 The neighborhood’s centerpiece, and the starting point for Shabolovka’s development in the ‘20s, is an icon of avant garde architecture: the Shukhov Tower, built as the headquarters of Soviet radio in March 1922. Shabolovka and its tower—the tallest building in Moscow at that time—gave birth to new aesthetics in Soviet urban design. What Malevich and Kandinsky were for art, architect Vladimir Shukhov and his associates were for architecture. But 95 years later, activists are struggling to save the iconic tower from collapse. 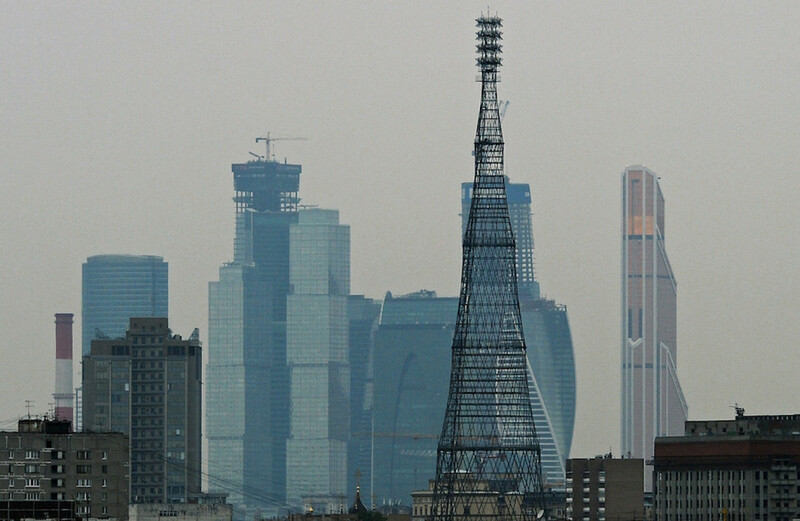 “It’s a symbol of Moscow,” says Alexandra Selivanova, a Moscow architecture historian who believes the Shukhov tower is a landmark of global importance. Selivanova runs the local Avant Garde Center, a gallery dedicated to 1920s art and architecture located inside a constructivist housing estate. But in recent years, saving the Shukhov Tower and the surrounding neighborhood has literally become her career. Since its final broadcast in 2001, the Shukhov Tower has found itself imprisoned in a maze of red tape. The decaying communist obelisk’s fate is uncertain. For years, historians and architectural heritage watchdogs have been fighting a losing battle to have the tower restored. But in 95 years of existence, the iconic structure has never been renovated. 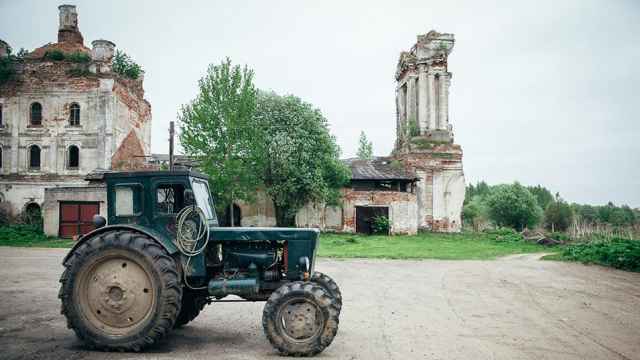 In Moscow’s harsh climate, that is a serious problem: The metal has started to rust. Legally, the building belongs to the Ministry of Communications, but the government agency is in no hurry to renovate —it contends that the tower has outlived its usefulness. 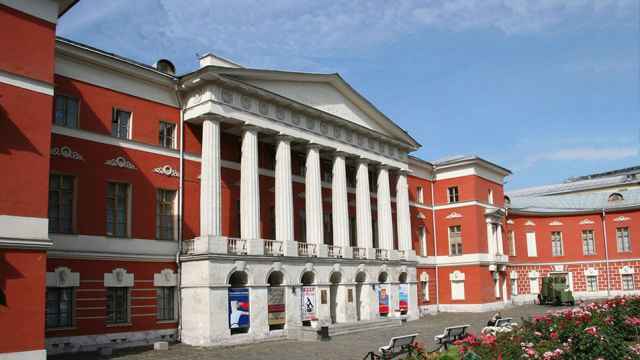 But when the ministry attempted to move the tower from its historic location, it was met with widespread protests from concerned Muscovites and Russia’s Ministry of Culture. However, the Culture Ministry was loath to commit to anything big. It said it would only take responsibility for the monument if the Communications Ministry would allocate funds for renovation. Eventually, a solution was reached: Communications would carry out temporary stabilization work inside the tower, and experts would later carry out a full-scale renovation. The Federal Service for the Protection of Cultural Heritage declared this a victory. But Selivanova says the stabilization work was carried out without expert consultation and risks damaging the tower. But the Ministry of Communications—still the tower’s owner—is in no hurry. It has asked to delay the renovation and look for the right company to do it. The problem also lies with the fact that few experts in Russia are experienced in restoring a metallic structure of such heights, says Vladimir Shukhov, the tower architect’s great grandson, who runs the Shukhov Foundation. His foundation suggested Moscow host an international conference on the subject and invite experts who have worked on Paris’ Eiffel Tower and London’s bridges. Shukhov says those experts were ready to come to Moscow to work on such a prestigious project. But the plan was called off when the Communications Ministry failed to take part. Last weekend, the Shukhov Foundation and Selivanova’s Avant Garde Center marked the Shukhov tower’s 95th birthday by organizing a street festival. They invited local school children to build a miniature of the tower. “Paris has its tower, we have ours,” one of the event’s stickers read. For many architecture enthusiasts, visiting Moscow is about getting a glimpse of the Shukhov Tower. A miniature version of it stands permanently in a London museum. With this year’s centenary of the Russian revolution, photographs and miniatures of the tower have gone on show at prestigious museums across the Western world. In Moscow, however, some tourists must go to absurd lengths to get a good view of the tower, climbing over fences and sometimes getting into trouble with the police. The tower’s iconic status is understandable. From 1937 until the late 1960s, the daily news program that beamed into living rooms across the Soviet Union’s 11 time zones opened with footage of the Shukhov broadcasting tower in Moscow. 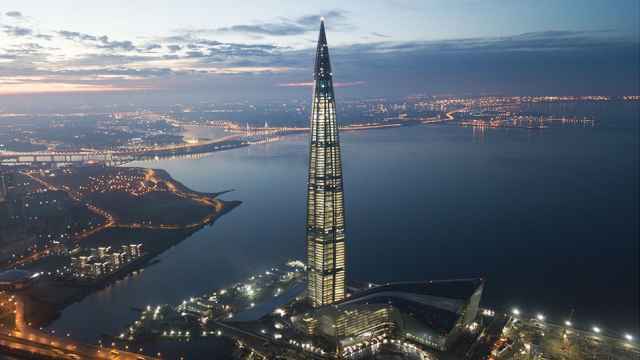 The tower has become the symbol of Russian technology and, especially, of the power of television. In 2009, Vladimir Putin met the Communications Minister and supported plans for the tower’s renovation. “It is one of the symbols of our television,” Putin said. But in bureaucratic Russia, talk is cheap. “Eight years have passed and nothing has changed,” says Shukhov.